The former head of the Canadian Human Rights Tribunal abused and harassed her employees, a report tabled in Parliament today concludes. Public Service Integrity Commissioner Mario Dion says Shirish Chotalia is guilty of gross mismanagement, improper behaviour, and making inappropriate remarks. The investigation took almost two years to complete. And Dion, whose role is to investigate public service workplace complaints, says Chotalia's behaviour had a serious impact on the health of workers. Harassed and abused staff and appointed members of the CHRT through intimidating and aggressive behaviour and making inappropriate comments. Disregarded advice from her staff. Created a dysfunctional workplace for employees and members of the CHRT. Dion, in a conference call Thursday, called Chotalia's behaviour "totally unacceptable" and said that in his nearly 2½ years on the job, he's never come across a worse case of behaviour towards employees that shows a "total lack of respect." He said Chotalia created a "poisoned atmosphere" in the workplace, and that her manner towards not just her staff but to appointed members of the tribunal was often "belittling and humiliating." Some of Chotalia's behaviour, described in the report, bordered on the bizarre. Ordered employees to stay inside during earthquake. Chotalia ordered an employee to wear a set of keys around his or her neck despite complaints it was too heavy. During an earthquake in Ottawa in June 2010, which shook buildings, she refused to allow employees to leave their offices, despite the fact that many buildings in downtown Ottawa were evacuated. "Ms. Chotalia instead proceeded with her own swearing-in ceremony that she had organized that afternoon despite the safety requirements and staff concerns," the report said. Dion called her behaviour "very strange." He added he has not been able to speak to Chotalia since the spring of 2012, but said that for privacy reasons he could not divulge the reason why she was unavailable. Chotalia also ordered employees to spy on one another, refused them sick leave, emailed them late at night, publicly discussed their health issues and accused them of stealing items from her. She told an employee from the Integrity Commissioner's office she felt she was being targeted because "I was chosen by a Conservative government, I am a brown woman from Alberta, and the unions want to remove me." Dion said his office found no evidence to support Chotalia's theory. Dion said the report into complaints about Chotalia took two years because 26 witnesses were interviewed and because it was so difficult to obtain information from Chotalia. David Hutton of FAIR (Federal Accountability for Reform), a group that advocates for public sector whistleblowers, was critical of the fact that it took seven months for an investigation to begin. "This is a constant issue for whistleblowers — even if justice comes eventually, if it comes two years or five years later, their lives are already destroyed, " Hutton said. Chotalia formally quit in November, four years before the end of her term. The Alberta lawyer was appointed to the post by the Conservative government in late 2009. Hutton pointed out that wrong-doers often quit in the middle of an investigation. "They go off and get a job somewhere else. So that means that once they're no longer in the public service, there's no obligation on them to co-operate. The integrity commissioner's actually not allowed to conduct investigations that go into the private sector," he said. Ontario lawyer Susheel Gupta has been acting chair of the tribunal since August 2010. His term expires in August. Dion said in his report that he didn't investigate the hiring process that led to Chotalia's appointment. However, he wrote that he wants to highlight "the importance of the government using tools to systematically assess information about prospective appointees’ behaviours and attitudes toward subordinates." 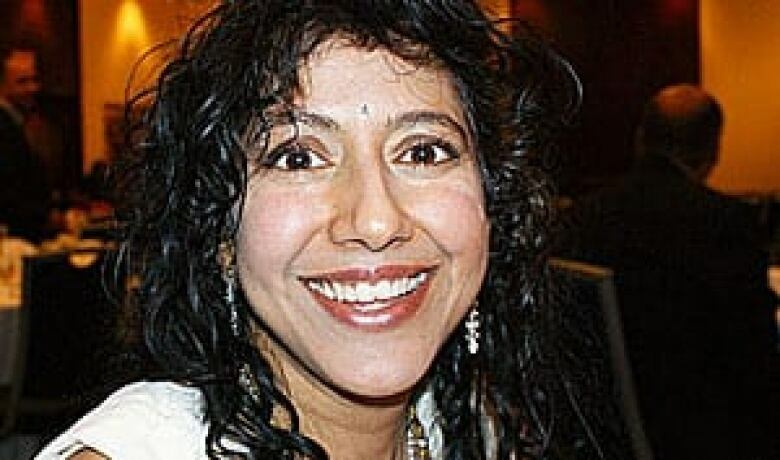 Dion explained to reporters that not only had Chotalia been a commissioner with the Alberta Human Rights Commission, but she'd also been an adjudicator with the Canadian Human Rights Tribunal before she was appointed its chair in 2009. Dion said there had been complaints about her well before her appointment. In an interview Thursday with Evan Solomon, host of CBC News Network's Power & Politics, Dion said that when he was hired as integrity commissioner he had to go through a battery of tests, some of them psychological, but he doubted, given her behaviour, that Chotalia was similarly vetted. In a teleconference call with reporters, Dion was not sure what Chotalia's salary as head of a federal tribunal would have been, but said the maximum for her position is $256,000. He also said that there are no penalties his office can levy against Chotalia, or anyone it investigates, and that he has no power to recommend that anyone be removed from office. In his report, Dion said he'd like to commend the courage of the employees who approached his office with disclosures of wrongdoing. Part of Dion's job is to make sure that whistleblowers in the public service are protected. About 150 public servants made formal complaints to his office last year, Dion said. This is the fifth "case investigation" Dion has taken on since he became integrity commissioner, and the first time he has named the subject of an investigation. In his report, he said he revealed Chotalia's name because the fact that she was chairperson of the CHRT was information that was publicly available.